International orders $0-$99.99: please add the International Shipping Surcharge to your shopping cart. International orders over $100.00: please contact us for shipping cost. All packages are shipped promptly, often on the same day and usually within 1-2 business days. Delivery time is an estimate only and not a guaranteed time since the occasional package may be slowed down for customs. Generally packages arrive on the early side of the estimated delivery window. 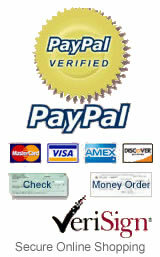 Secure online shopping payment options are PayPal, VISA, MasterCard, AmericanExpress, Discover, check or money order. All prices are in USD. Treasure Bears will ship to the following international countries only: Australia, Austria, Belgium, Denmark, Finland, France, Germany, Greenland, Iceland, Ireland, Italy, Japan, Latvia, Netherlands, New Zealand, Norway, Sweden, Switzerland and United Kingdom. Free shipping does not apply to International orders. * All international customers must add an International Shipping Surcharge to their cart before checkout. If International Shipping Surcharge is overlooked, customer will be invoiced for it separately. Orders cannot go into the production queue until full shipping is paid. Customs duty, if applicable, is the sole responsibility of the person receiving the shipment. 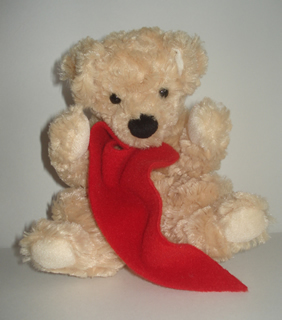 Treasure Bears cannot be held responsible for customs charges and/or delays. We usually ship on the same business day or within 1-2 business days of payment cleared. Any unforeseen delays or costs at customs are beyond our control, however we have not experienced any customs issues yet. 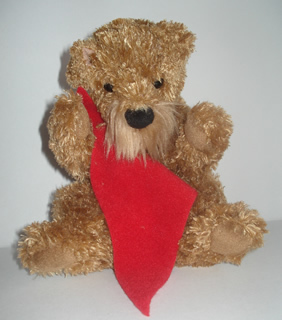 Treasure Bears cannot be held responsible for orders that are lost, stolen or mishandled en route. If you wish shipping insurance, please contact us for a quote.